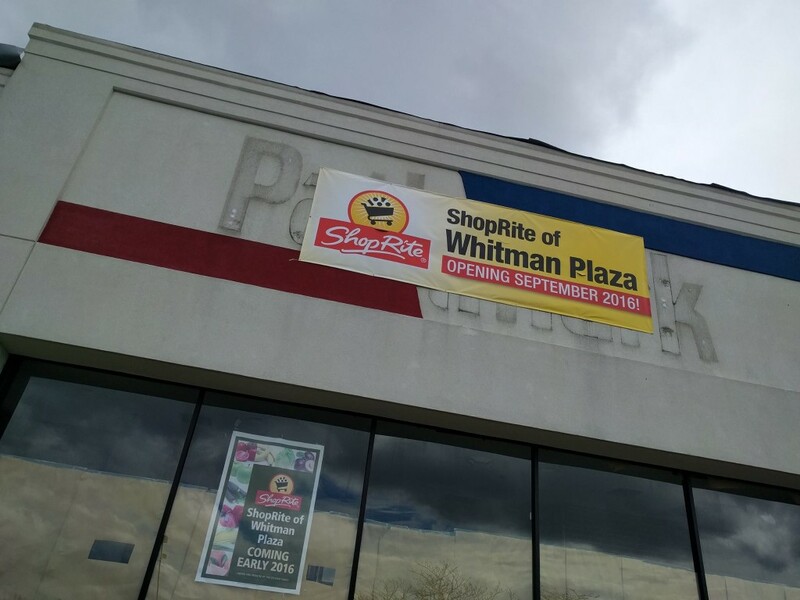 Shoprite of Snyder Plaza will finalize its move to Whitman Plaza this Fall. 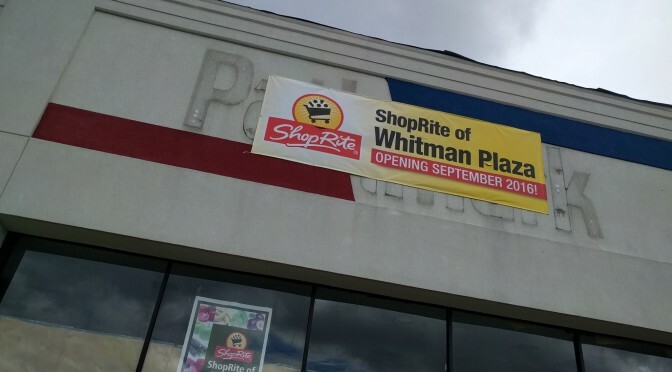 When Shoprite purchased bankrupt A&P’s Pathmark in Whitman last year, they promised an early opening in Spring 2016. It seems that the old Pathmark building required a lot of fixing up because the final move and opening date is now set for September 2016, months behind schedule. Shoprite is now hiring for their new location at Whitman Plaza on 3rd and Oregon. The new renovations and expanded space includes plans for their nutritionists and a sit-in coffee shop. There has been no word of a new pharmacy opening to replace the closed Pathmark pharmacy that previously serviced the neighborhood. With all the neighborhood changes and plans for new development in the area, Whitman is up and coming indeed. We’re Hiring for Our New Location at Whitman Plaza! Please share with your friends – We will be holding a JOB FAIR – By Appointment Only, for several dates in April & May. WE WILL CONTACT YOU WITH A DATE/TIME & LOCATION AFTER REVIEWING YOUR APPLICATION. Hello Human resources. I’m disabled and need to supplement my income. I can only work part time,so I won’t lose my benefits. I can do greeting and promotion Samples. You will never be Disapointed with me. It would be a permanent position. Last job before my Cancer I was at for 27 years. I am a student (in ha) who has some work experience before, with a working permit. I wanted to know if I am able to get an opportunity to work here as well? Specifically for the Whitmen Plaza area?